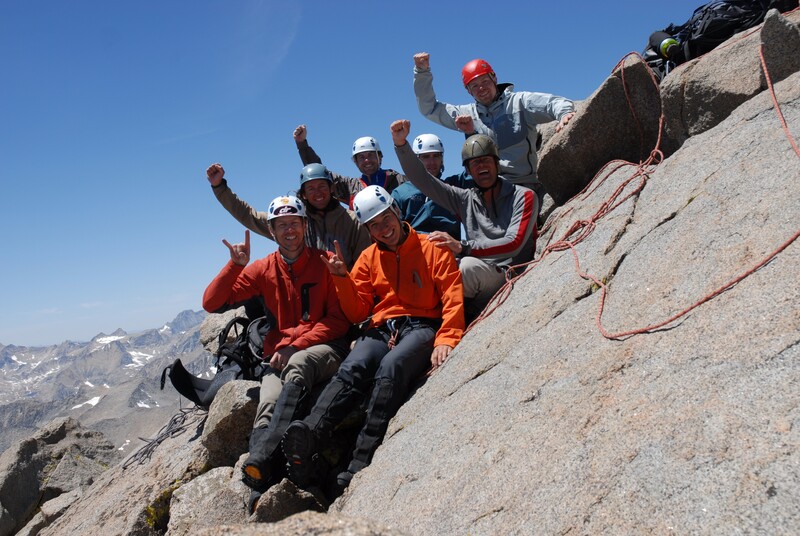 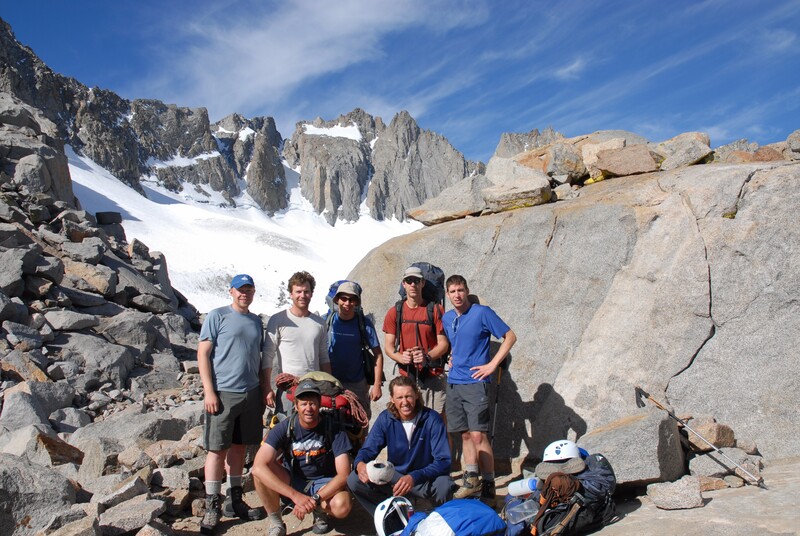 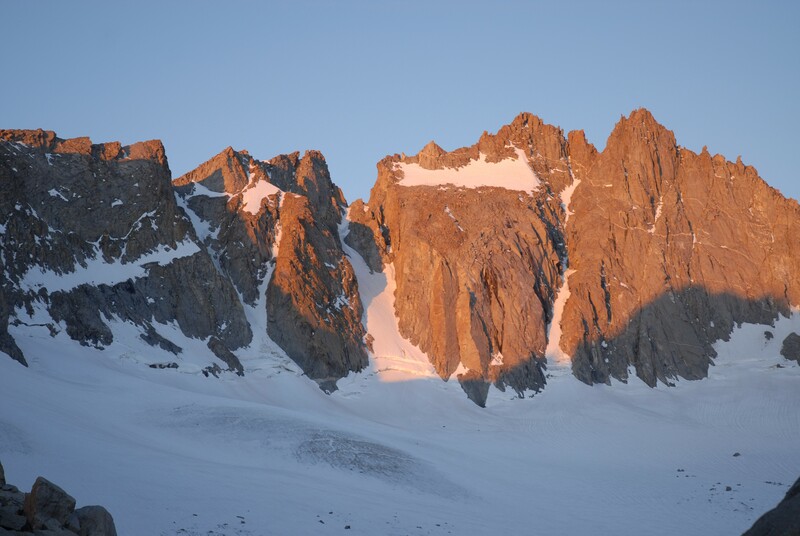 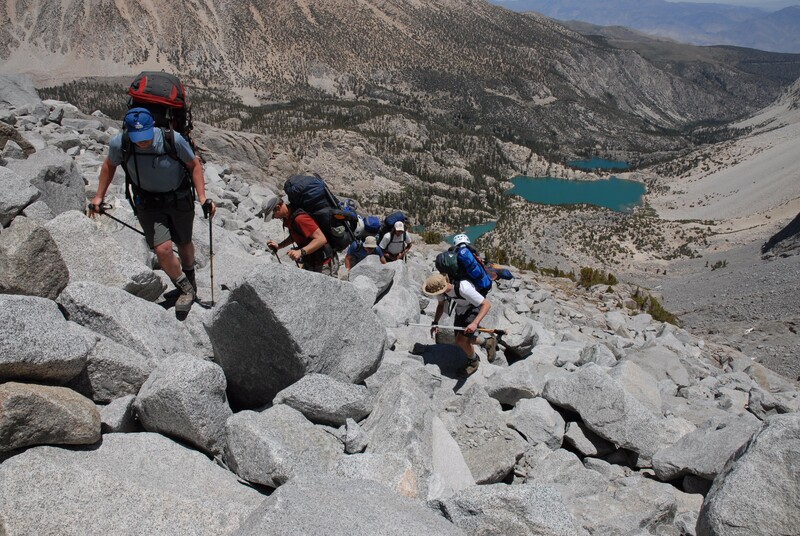 North Palisade Peak is considered one of the all time classic peaks in the Sierra. 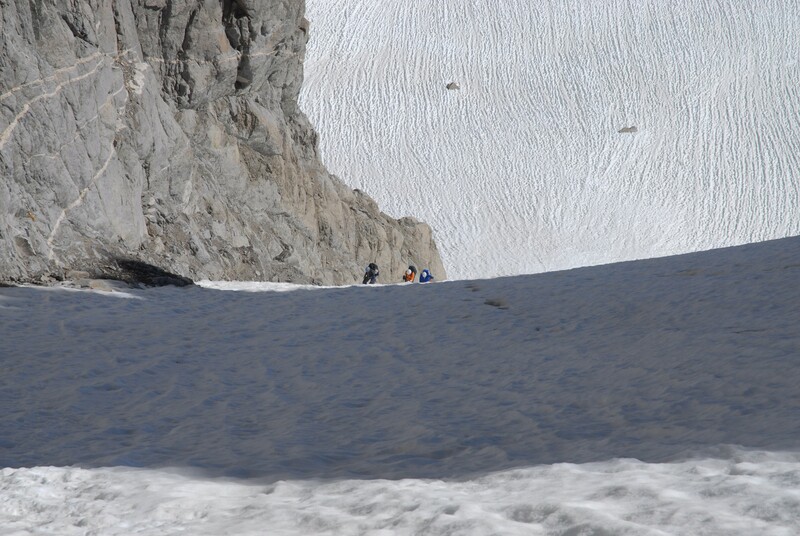 The U-Notch Couloir is a 900’ 40+ degree snow/ice couloir rising above the Palisade Glacier. 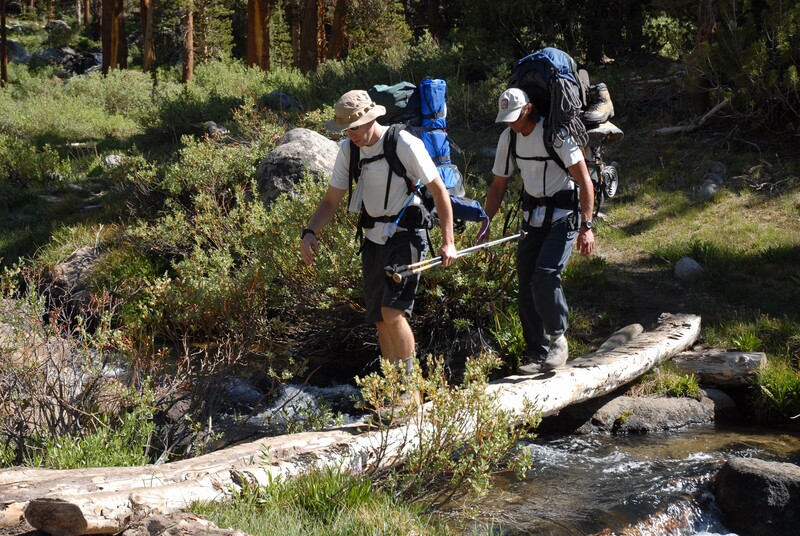 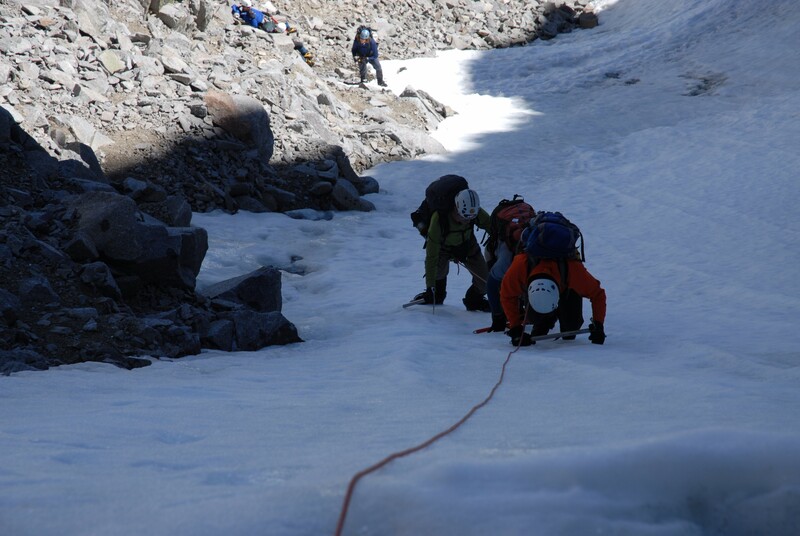 We climb roped up and protect the route with snow pickets, ice screws and rock gear. 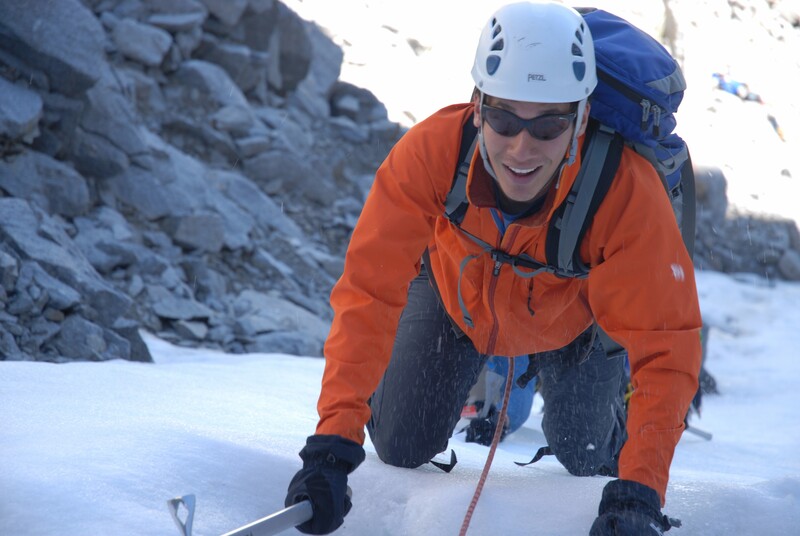 After reaching the top of the U-Notch we remove our crampons and leave them with our ice axe in preparation for either 2 pitches of 5.6 rock climbing, or several short 3rd and 4th class pitches to the summit.